What we know so far about EA and Petroglyph's 4K remasters of Command and Conquer: Tiberian Dawn and Red Alert. Command and Conquer: Tiberian Dawn (like anyone called it that) and Red Alert are returning in one 4K remastered collection, EA officially confirmed in November last year. Why? Well, I'd speculate that it's partly to help sell the merits of EA's Origin Access Premier subscription service to PC players—but it might also be a goodwill gesture to fans of the series after so many disappointing years of C&C product. Below, I've collected everything relevant that's been revealed about this Command and Conquer remaster so far, from the talent involved, to updates on the progress of development. EA has taken a very open approach to discussing the process of creating these new versions of the games, posting frequent updates to the Command and Conquer subreddit—it's refreshing to see. Your first look at the in-progress art style in Command and Conquer Remastered. EA and Petroglyph's "primary goal with the visual approach is to maintain the authenticity of the original in-game asset," which has certainly been achieved here. Can't wait to see more. EA is collaborating with RTS specialists Petroglyph—founded by ex-Westwood staff—to make Command and Conquer Remastered. "Bottom line, there is no better way to achieve this than to partner with some of the talented developers who brought these original games to life," said Jim Vessella of EA in the announcement. Lemon Sky Studios is also working on the art side of things, to help bring these older games into 4K. It's previously worked on games like Uncharted: Lost Legacy and Dark Souls 3. Frank Klepacki, responsible for the earlier C&C games' distinctive audio and memorable soundtracks, is working on the remaster as audio director and composer. Klepacki is currently exploring how he'll handle the game's soundtrack from the various versions that exist of the original tracks—check out this Reddit update for more on that. 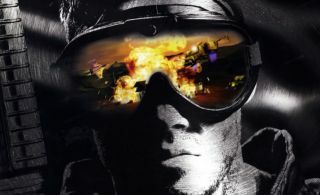 In a January 2019 update, EA's Jim Vessella took to Reddit to confirm that they were basing the Remastered versions of Tiberian Dawn and Red Alert on the original source code. In recent years, lost source code has created problems for a few re-releases of classic games—most famously the HD versions of Silent Hill 2 and 3 on consoles, where one sign's font was swapped for Comic Sans. "Do we have access to the original source code?" Vessella asked. "We’re excited to say the short answer is 'Yes.' Over the past few months we have been able to acquire the majority of the source code for both the original C&C and original Red Alert. I say majority, because what we have is not a complete archive, and it’s going to continue taking some work to validate the full re-usability of the code. Thankfully, there is no better team than the individuals at Petroglyph to go on this R&D journey." There's a few hints in the original announcement blog that Petroglyph and EA are at least discussing tweaking a few things about the games. "During my first visit to Petroglyph, I was able to brainstorm 'C&C feel' with Joe [Bostic], sit with Frank [Klepacki] and hear him recite Commando lines, and gab with Steve [Tall] about whether we should fix the Tib Dawn Harvester AI." Hey, fix the pathfinding of the ore trucks in Red Alert while you're at it! And maybe keep Tanya from wandering into the path of a flame turret. The question, of course, becomes whether the older Command and Conquers are the same games if you start tweaking their quirky old elements. Ultimately, Petroglyph and EA will lean on community feedback to find the right balance between faithfulness and making the right changes, as co-founder Joe Bostic said in his original Reddit post upon last year's announcement. "If you could turn back the clock, what would you have wanted in the original C&C games? How true to a remaster should we adhere do? What modern improvements can be added without deviating from the core game? Balance changes? We will be starting development soon, so now is the time to let your voice be heard." Vessella went into more detail on how they intend to retain authenticity, while also updating the game for modern players. "This is a remaster. Our intention is to keep the story, script, and content as authentic as possible to the original games, while providing much higher fidelity with modern quality of life improvements. As Joe stated in his initial post, the Command & Conquer look and feel is incredibly important to us, and will be one of the benchmarks we judge every decision against." To do this, the developers have assembled a 'community council' of 13 dedicated C&C players, who'll be a sounding board for various decisions made during development. Vessella touched upon their philosophy a little more in January's Reddit update. "Again, our goal is to Remaster the original gameplay, not remake it." 'Remaster' has become a very nebulous word in how we discuss re-releases of old games, but the thing to underline here is that this is much more than just a repackaging of the old games. The remaster is being made in Petroglyph's GlyphX engine, with the source code used for guidance on the details of the game. "To provide a quick example (Not guaranteed but purely for illustration purposes), imagine using the original source code to determine the charge-up behavior of the Tesla Coil, but utilizing the GlyphX Audio system to ensure the Sound FX are fully enhanced for when that Tesla Coil fires." That offers some clarity on how EA envisions the Command and Conquer remaster. "Our goal is to utilize both GlyphX and the original source code to gain the combined benefits towards the Remaster." EA made it clear when it announced the C&C remasters last year that it hadn't even started development yet. As of April 2019, it's nearing the end of pre-production. A release date is still a long way away. All three expansions for both games—The Covert Operations for C&C, Counterstrike and Aftermath for Red Alert—will be included with both games in a single package. EA made it clear there will be no microtransactions for these new versions of the old games.